BLOG » Our Last time. 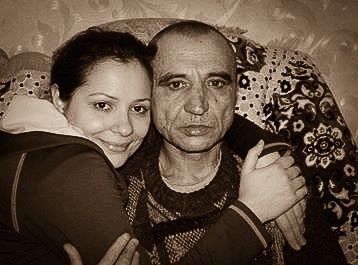 This photo is from the first time I saw my dad after 15 years of separation. It was taken by my aunt, in the middle of a cold February day in my grandmother's apartment back in 2007. It was also the last time I saw him alive. He did not look like I've remembered him. I've never seen such a strong man as a tall frail shadow version of himself. Yet, even with his illness, I could reach him, I could connect with him in my unpracticed Russian. By acknowledging his elaborate delusions and weaving them into our conversation I calmed him; and that helped relieve the burden of his losses. It was heart-wrenching and heartbreaking, and one of the very few moments in my life when I felt like I could make a difference in his. In the airport, right before we said goodbye, a passer by took our extended family photo. My aunts, cousin, grandmother and dad stood there solemn. I couldn't handle it, so I started making jokes. Just to be scolded by him just like it was back when I was a kid about to get in a lot of trouble, "Stop being goofy, you're not little anymore." And in that moment, a small glimpse of his fatherly authority sparkled like the tiny diamond stones of the rings he made for my mother when he could still work. I stopped the goofiness, but knew he was secretly proud of my efforts. That was one of the most memorable moments of my life. He has been gone for 7 years now. It was only recently with the help of my cousin, who sent me photos of the family plot, that I finally saw his resting place. The large grand granite headstone stood at the head of his grave. He looked young, healthy and serious. Forever serious. And that's when I vowed, once again, to make it back there to see and be with him for just a few seconds, before it all ends someday; to walk the streets he last walked, to touch the earth that he last touched- in my Russia, my motherland. Do you have a love story to share? Send it to us. You could move many hearts. 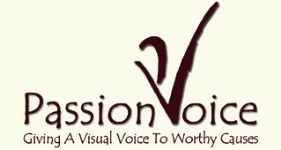 www.passionvoice.org. then go to . “A thousand Shades of Grace”.